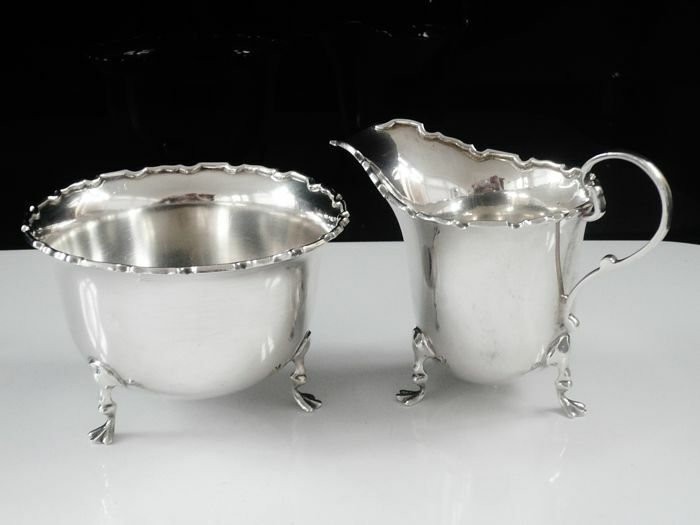 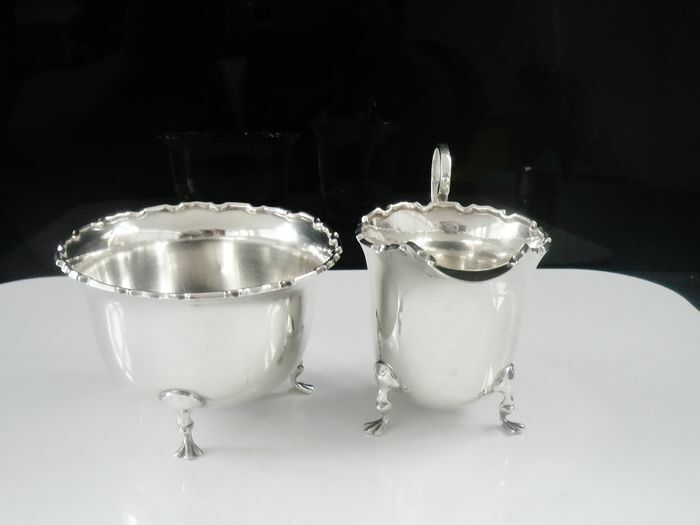 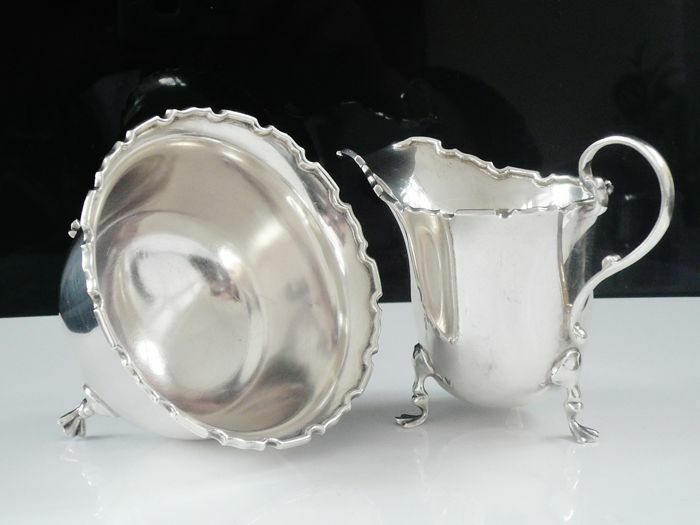 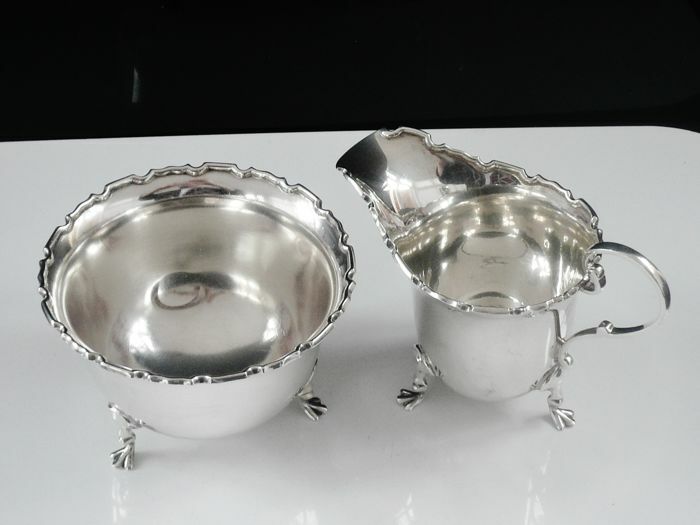 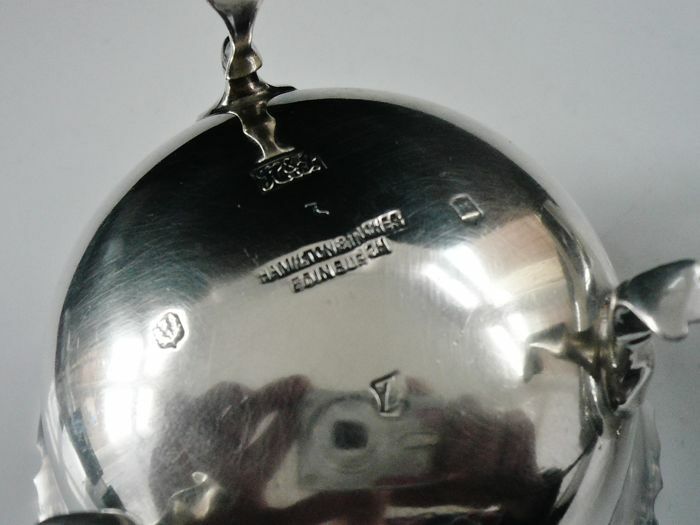 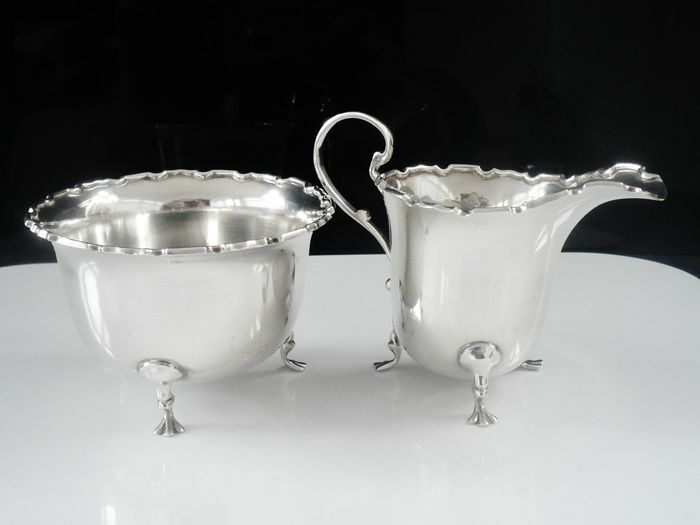 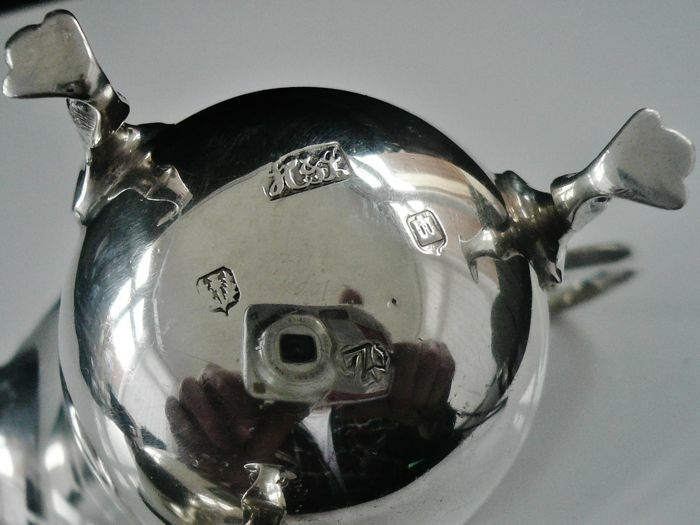 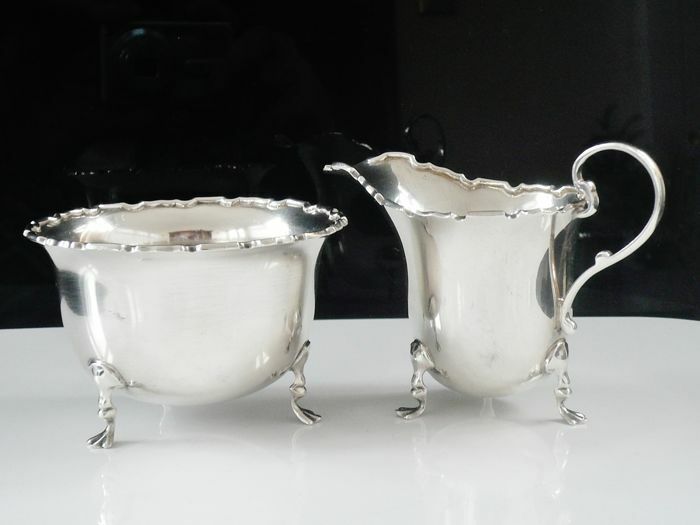 Scottish sterling silver sugar bowl and cream jug by Hamilton & Inches, both pieces hallmarked from Edinburgh in 1930. 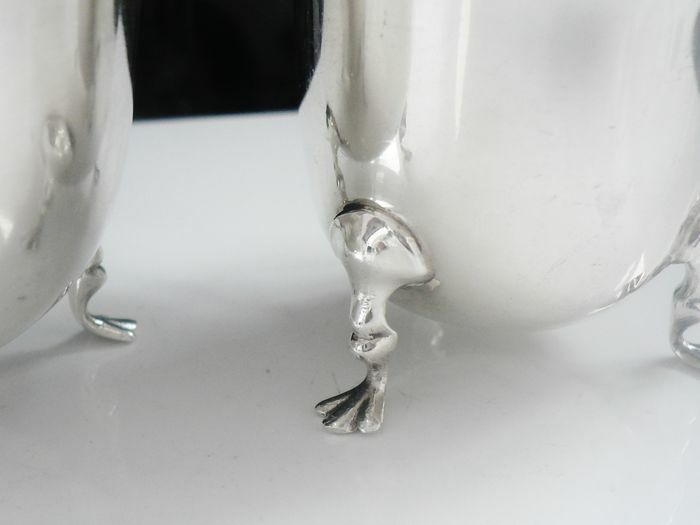 Both in super clean condition, couple of small pinhead sized dinks on bowl but otherwise in excellent order. 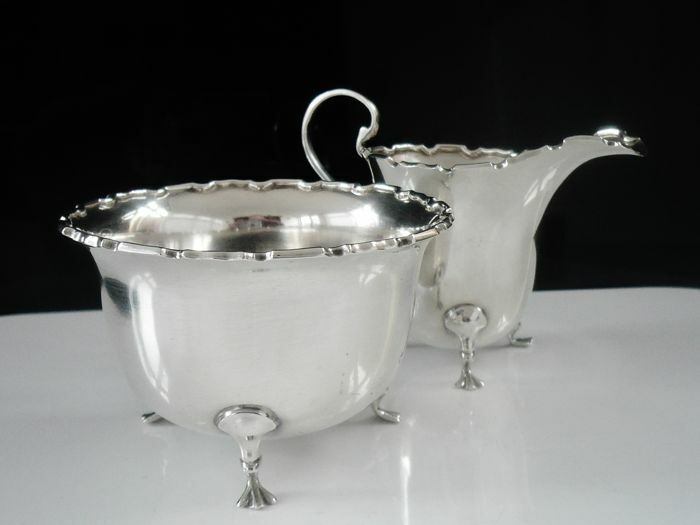 Sugar bowl stands 54mm tall and has a diameter of 82mm, the cream jug stands 75mm tall at the highest point.